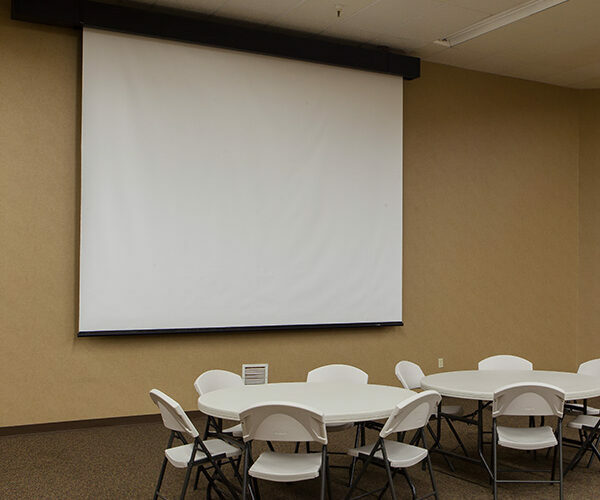 Shown here at the First Baptist Church in New Castle, Indiana is a Walk-Draw Divider used to divide spaces in a meeting area. 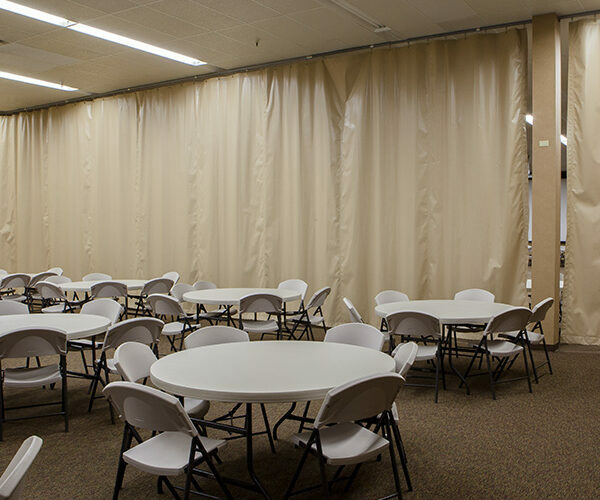 The Walk-Draw Divider Curtain idea is simple: suspend the vinyl curtain from an overhead track. 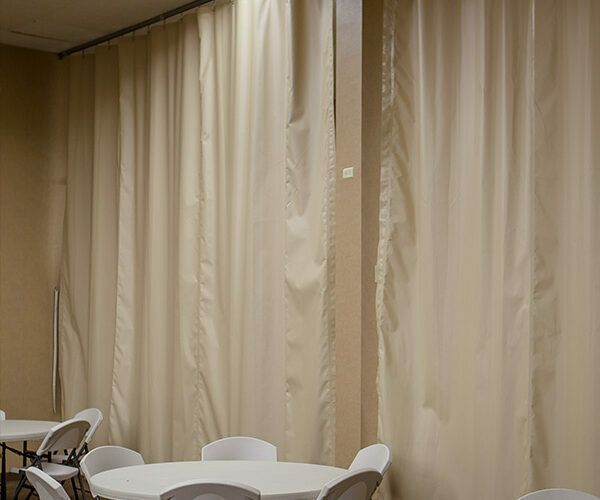 While walking, just pull the curtain into place, or pull it back into its compact storage area. 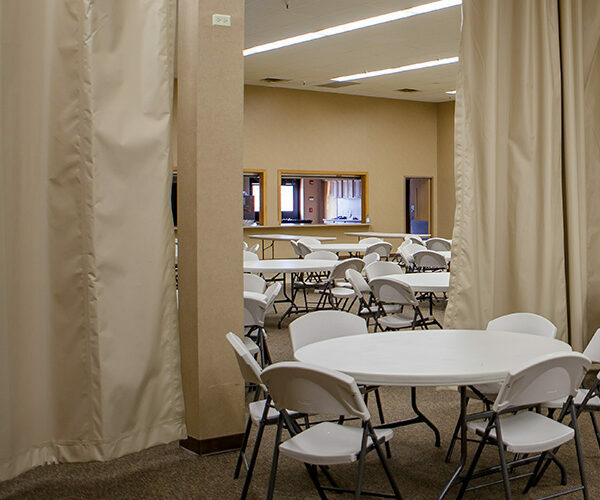 The curtain always moves at the operator’s pace because ball bearing wheels ensure a smooth gliding action.